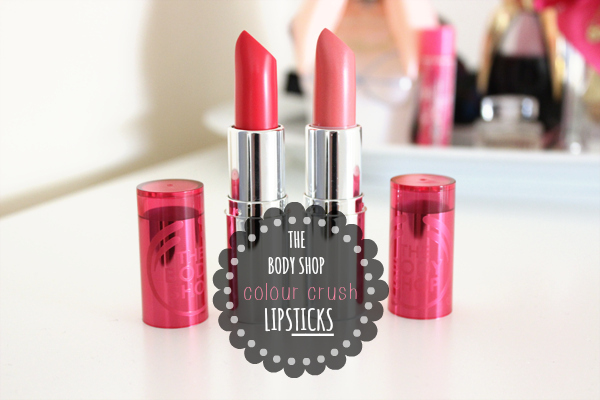 You all know I am a sucker for lipsticks and when I saw that The Body Shop were coming out with a new range of lipsticks in the Colour Crush I just had to pick up 2 to test them out. There are 24 shades in this collection and state that they are luscious lipstick gives a stunning pop of colour and rich moisture, infused with a subtle rose scent. There are 3 categories; The Reds, The Pinks and the Browns. As some do think they are similar to the Revlon's Lip Butters, I feel that they are very much more pigmented then those and still have a slight sheen and mosturising. Most are very pigmented especially the reds and vibrant colours which will last more on the lips compared to the lighter shades. 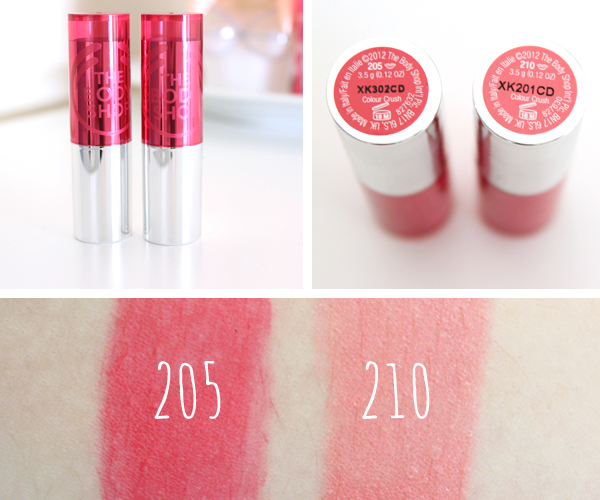 205 Passsionate Pink is a lovely Fuchsia Pink that is pigmented yet nourishing to the lips. It reminds me of GIRL ABOUT TOWN by MAC with a slight more reddish tones to it. I can see myself using this as a night out lipstick and switching it up between my MAC lippies every now and again. 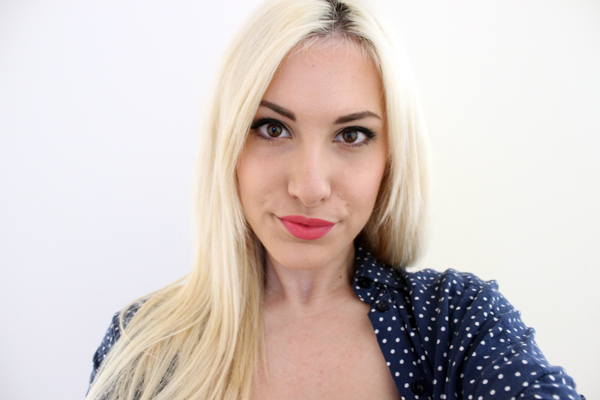 It's such a fun and bold lipstick that can be worn even in the day time. 210 Sweetheart Pink is a perfect barbie neutral pink. I love my pinks and this one has a slight hint of peach in it which makes it wearable night or day and even with a smokey eye. You only need one swipe or two the most as the colour pigment just glides onto the lips full on. I was pleasantly surprised of the pigmentation of this one in particular as I did think it would come off quite sheer. HAVE YOU TRIED THE NEW COLOUR CRUSH LIPSTICKS? WHAT SHADE IS YOUR FAVORITE? SHARE AND LET ME KNOW IN THE COMMENTS BELOW! Oh gosh these are such gorgeous shades and look perfect on you! Both of these look so lovely on you, especially love the second shade! You're such a beauty! Oh such lovely colours!! They look really great on you!